ResearchGate was founded in 2008 by Ijad Madisch, Sören Hofmayer and Horst Fickenscher and has now attracted almost three million users. At a press event yesterday, Madisch said the idea came from a personal need – as a scientist himself, he had a research problem and needed advice on how to fix it. 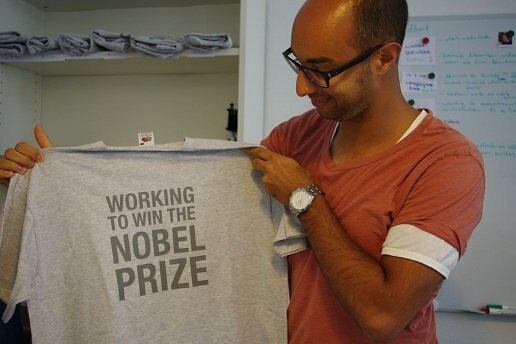 Frustrated, he realised that researchers needed their own web platform to share findings and collaborate on projects across borders – thus ResearchGate was born. “The internet didn’t evolve to let scientists share quickly. Academic journals never adjusted to the power of the world wide web,” Madisch told us. But rather than focusing on the startup pattern of scale, growth and profits, profits, profits, Madisch had a different plan for ResearchGate. His team strove for engagement rather than growth, by focusing on creating an invaluable network to revolutionise not only researchers’ work, but the whole world of science. It’s an ambitious aim that’s been backed up with proof: a number of successful collaborations have resulted from the platform already. Madisch mentioned two scientists, one in Italy and one in Nigeria, who only through connecting and collaborating on ResearchGate discovered a new deadly strain of yeast infection. And while he wouldn’t go into details, Madisch said Gates will be spreading the word about ResearchGate to his expansive network, along with providing the investment from his personal funds (not from the Melinda and Bill Gates Foundation). Madisch thinks there’s a big problem with science today. By only publishing the positive results they’re getting, scientists are missing out on a huge chunk of important data – 97 per cent, he says, making it impossible to learn from each others’ mistakes. Madisch proposes a completely different process: Using ResearchGate, he wants scientists to publish even the small steps they make, plus every failure, immediately. 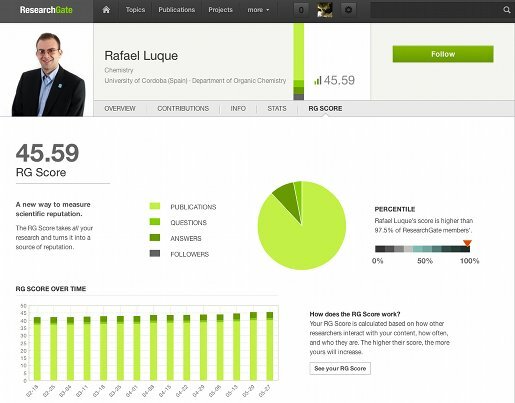 Understandably, publicly displaying failures can go against the grain, so to encourage its users to publish more, ResearchGate provides each user with a RG score, which increases when scientists upload research independently of whether it is positive or negative. It also offers a new form of peer review, a “post-review” which the whole community can instantly be involved in, instead of the usual 6-18 months it takes to get a response from a journal. By encouraging the community to review each others’ work, ResearchGate promotes an interdisciplinary approach, leading to fresh insights from other fields. Madisch didn’t disclose too much on what exactly is planned for the significant cash injection, but refining the product is top of the agenda – with a focus on streamlining the process of deciding how and what to publish. They’re planning on opening up the API to the outside world, to allow people to build apps from the ResearchGate data. Universities and research institutions are especially the target, Madisch wants them to create their own private networks and create apps for their research projects. Monetisation is also on the cards, though it isn’t a priority. The currently free job board, which already has more than 15,000 listings, will begin charging fees. A marketplace for biotech products, to increase the transparency on what researchers should buy and why, will also be added. And while selling advertising space is the obvious monetisation route for the platform – Madisch said the startup could be profitable very quickly if they choose that method – he’s set against it, as it would reduce the value of the network for his users. 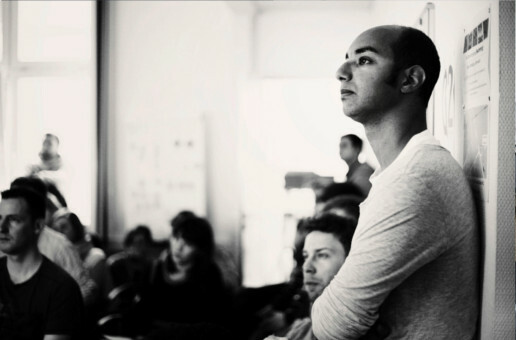 At the moment, ResearchGate employs more than 100 people between its Berlin and Boston offices, which Madisch isn’t keen to grow significantly. The latest funding will be used to bring another team of six to seven engineers on board, but that’s it for now. Along with being a definite show of confidence in ResearchGate itself, Bill Gates’s investment is a huge boost for the Berlin startup scene as a whole. As Madisch himself noted, Berlin has yet to have a real success story. His company, he said, is “the first non-copycat German company that is doing something lasting”. He’s also very happy that the startup didn’t take funding from a German VC: “If one of the German VCs had taken the lead two years ago, ResearchGate wouldn’t exist today.” He attributes this to the prevailing desire of German VCs for startups do everything at once, rather than focusing on doing one thing right – with extra pressure on monetisation. Understandably, Madisch said he’s received a deluge of emails from interested VCs now that the mystery investor was announced. How the startup will develop with the new cash and big-name investors will be something the whole Berlin startup scene – and beyond – will eagerly watch. For now, it is hard to think of a more deserving business for Gates to have chosen to work with.